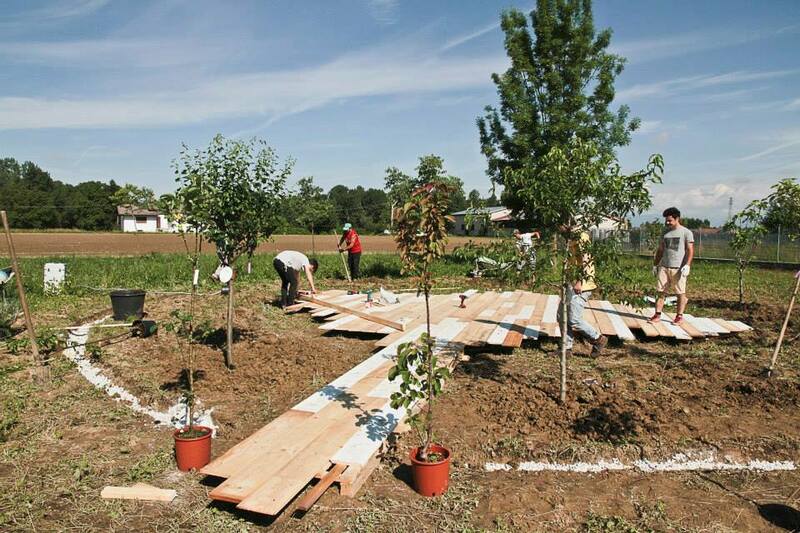 Piazza dell'Artigianato 0 aims to redevelop industrial sites, turning them into self-sustainable parks with an edible garden, realised in accordance with the rules of permaculture. Architectural structures and urban design furniture are made using waste materials provided by surrounding industries. 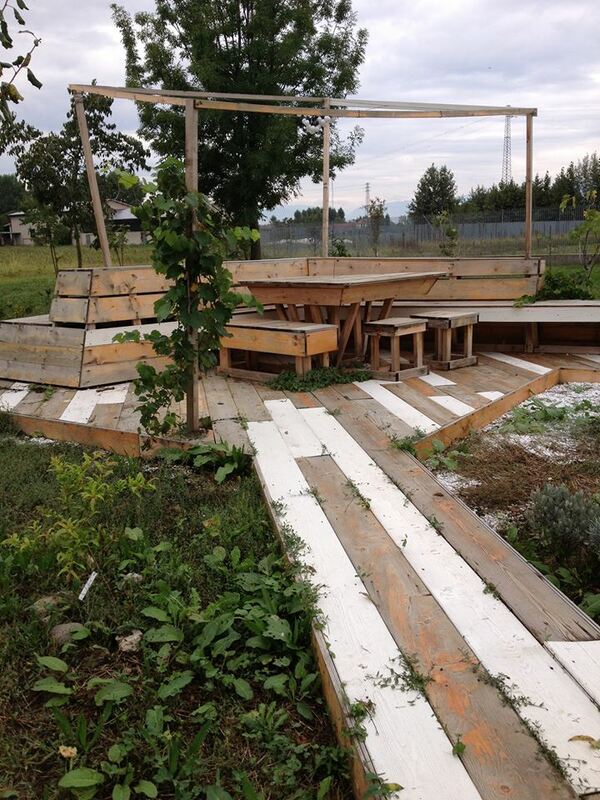 In this green revitalised space, people can meet each other, relax, and eat the produce for free. Piazza dell'Artigianato 0 is a prototype, the purpose of which is to develop a model that can be applied in all industrial areas with the involvement of local workers and citizens. To reconstitute an unused space in the industrial district of the little town of Villa del Conte (Northern Italy) into a green, accessible and sociable place for visitors. To provide a space people can freely visit and benefit from. After one month the local school decided to use the space for some events for the students. The choice was totally autonomous and spontaneous. The artists, March Foundation, LAGO s.p.a.
Workers, Employees and citizens of the industrial district of Villa del Conte.